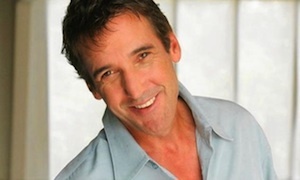 David “Kidd” Kraddick, the radio and TV host of the Kidd Kraddick in the Morning show, died on Saturday (July 27) during his Kidd’s Kids charity function in New Orleans. Kraddick was 53. The Kidd Kraddick in the Morning show is heard on more than 75 Top 40 and Hot AC radio stations. Additionally, the radio program is transmitted globally on American Forces Radio Network. Kraddick has been in the Dallas market since 1984. “He died doing what he loved, and his final day was spent selflessly focused on those special children that meant the world to him,” said a statement on the website of Dallas-based radio station KHKS. “All of us at KISS-FM, ClearChannel Dallas, affiliated Clear Channel stations and markets, YEA Networks, and the Kidd Kraddick in the Morning crew are heartbroken over the loss of our dear friend and leader. Kidd devoted his life to making people smile every morning, and for 21 years, his foundation has been dedicated to bringing joy to thousands of chronically and terminally ill children.” Kraddick worked at the station since the early 1990s; he syndicated his show beginning in 2001. Kidd’s Kids is part of the 501 (c)3 charity, The Kraddick Foundation, that was founded in 1991. The organization is dedicated to helping impact the lives of children with terminal or chronic diseases. Kidd’s Kids takes a planeload of children, ages 5-11, and their families to Walt Disney World for five days each November.